Do you have a favorite author, that when you hear that that have a brand new book coming out x-amount of months away, that you count down for? Well, Mesu Andrews is one of those authors for me. I have read every single book she has written and I anxiously wait for a new book to be listed on GoodReads. Isiah's Daughter has to be one of my favorites from her now. She has written on a topic that I haven't seen in this genre. The focus of the Old Testament is fantastic. She never takes away from the Biblical accounts, but she brings it to life and opens a door to read and research what the story is based on. 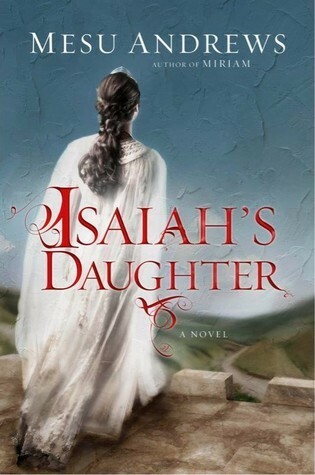 Following Zibah through her life during this story was engaging and also very, very interesting. I have read another story on Hezekiah, but this was a new perspective. Zibah lived in an very interesting time, and played an important part and became "a delight to the Lord." Reading her story was just fantastic! This story held me captive the whole way through. If you are a fan of Biblical fiction or you are looking to try it out this genre, I would recommend this book to anyone! 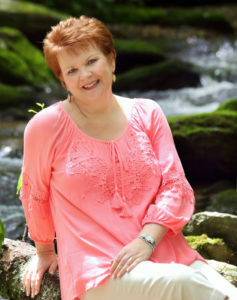 Mesu Andrews is the award-winning author of Love Amid the Ashes and numerous other novels including The Pharaoh’s Daughter and Miriam. Her deep understanding of–and love for– God’s Word brings the biblical world alive for readers. Mesu lives in North Carolina with her husband Roy and enjoys spending time with her growing tribe of grandchildren.